Having read JFK and the Unspeakable several years ago, I’ve been thinking about assassinations for quite a while and I’ve seen how “conspiracy theory” is used to shut off debate, to signal that we’re entering “the unspeakable” zone. So I began to wonder if the use of the term Conspiracy Theory might be a conspiracy itself. So I went exploring, and surprise surprise, there is a 1967 CIA memo that puts forward a great many of the commonly heard rebuttals to the Warren Commission Report. 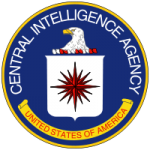 The CIA owned over 250 media outlets in the 1960s, spent close to a billion dollars (in today’s dollars) spreading information, and had people doing its bidding in every major city in the world, so it is not surprising that they were able to disseminate this idea. And the issue is contemporary, too, not just historical. Cass Sunstein is a powerful Obama Administration insider whose new book, Conspiracy Theories and Other Dangerous Ideas, is a sophisticated apology for the established order. 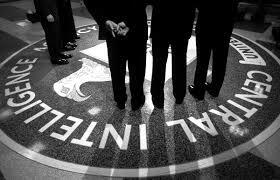 The last of this series of articles is the CIA 1967 memo itself. Meanwhile, the Wall Street Journal published U.N. Considers Reopening Probe into 1961 Crash that Killed Dag Hammarskjöld, a report that broached the possibility that the United States may have been involved in the death of the secretary-general, who is shown in a file photo. As a way to understand such varied messages, I urge readers to evaluate evidence with an open mind — and regard with special suspicion those commentators who slant their coverage with the loaded smear words “conspiracy theory” without citing specific evidence. My suggestions follow the spirit of the Justice Integrity Project’s JFK Assassination “Readers Guide” last fall. That 11-part series began with a catalog of books, archives, reports and videos. Then it proceeded to assess various theories of President Kennedy’s 1963 murder. After that background, let’s look at more recent uses of the term by the mainstream media to discredit those who suggest government complicity in notorious events. Last week, CNN’s Jake Tapper engaged in little more than name-calling in his segment ‘Truthers’ to protest 9/11 Museum. Tapper brought in a like-minded guest, Salon columnist Emily Bazelon, who relied on the same kind of seat-of-the-pants speculation to denounce protesters. I recognized the pattern. Three years ago, I hosted author Jonathan Kay on my weekly public affair radio show, Washington Update. Kay, a Canadian newspaper editor and law school graduate, had authored Among the Truthers, a 340-page book. Upon reading it, however, I saw that it raised alarm and mocked critics of 9/11 official accounts but did not analyze their arguments. Similarly, Eichenwald cited as authority a handful of establishment “experts” who mocked those who criticize government or other establishment institutions. Among the experts the Newsweek author repeatedly quoted was Cass Sunstein, a Harvard Law professor, author of the recent book Conspiracy Theories, and a former high-ranking Obama administration official. During the Obama first term, Sunstein in effect oversaw all federal regulation at the White House’s Office of Management and Budget. 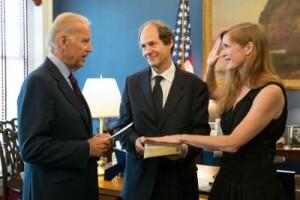 A White House photo shows Sunstein with his wife, U.S. Ambassador to the United Nations Samantha Power, when Vice President Joe Biden swore her into office last summer. Her appointment followed her high-level work in national security at the White House and State Department during Obama’s first term. As noted in my book, Presidential Puppetry, she is a leading proponent for regime change and military intervention globally on the grounds of humanitarian principles. Also last summer, Obama appointed Sunstein along with four others to the president’s review commission for a response to NSA whistleblower Edward Snowden’s revelations of massive illegal spying on the American public. Eichenwald glosses over this heavy national security background and the rhetoric needed to foster public support for global interventions. Even more relevant is that Eichenwald failed to note that Sunstein co-authored in 2008 what has become a notorious paper advocating propaganda techniques. In the paper “Conspiracy Theories,” Sunstein advocated that the government secretly hire academics and journalists to thwart the dissemination of what federal authorities might regard as dangerous beliefs held by millions of voters, such as suggestion that officials were complicit in 9/11 or a cover-up. Sunstein’s own proposal sounds, in other words, like the kind of plot government critics most fear as a violation of constitutional rights by an Orwellian, Big Brother state. Yet Eichenwald argued that “not a scintilla of evidence” exists for the theories he disparaged. He called them “unsubstantiated nonsense.” But he failed, like most with his mind-set, to refute the best arguments of his targets. Instead, he repeatedly cited well-credential experts, who applauded government officials for the most part and trivialized the concerns of complainers. Such elitist, slanted reporting by Newsweek and CNN suggests why their audiences are plunging and the outlets find themselves focused on half-truths important to someone, but not audiences. The Internet provides alternative news sources. In 2010, the Washington Post sold Newsweek for just $1 and assumption of debts. The Post announced that it wanted to place the publication into the hands of a like-minded publisher. This was Sidney Harman, the husband of Congresswoman Jane Harman (D-CA), a Harvard Law grad and prominent advocate of the intelligence-military complex. Newsweek, much like CNN, retains only a shell of its former clout and has twice been sold since Sidney Harman died. That said, most of us still rely heavily on the mainstream media to complement our information from other sources. A striking example last week was a bold, exclusive report by Joe Lauria, the Wall Street Journal’s United Nations correspondent. 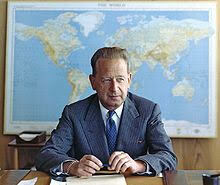 Lauria drew on his years on the beat to report for the Journal that the United Nations may reactivate on the basis of new evidence its dormant inquiry on whether its late leader, Hammarskjöld, was intentionally killed during his 1961 peace-keeping mission. As a former stringer for the Journal for two years earlier in my career, I can imagine how much research the reporter must have produced before such a story would make it into print. His achievement is especially striking at a Murdoch-owned paper, whose owner is better known for benefiting from high-level intrigues than exposing them. And what if the United Nations proceeds — and finds that the secretary-general died from foul play? For one thing, that would not be good news for those who deny conspiracies. But they would surely find a way to avoid in-depth reporting. As its discourse suggests, this propaganda campaign is using the now familiar “conspiracy theory” label, as outlined in Central Intelligence Agency Document 1035-960, the 1967 memo laying out a strategy for CIA “media assets” to counter criticism of the Warren Commission and attack independent investigators of President John F. Kennedy’s assassination. At that time the targets included attorney Mark Lane and New Orleans District Attorney Jim Garrison, who were routinely defamed and lampooned in major US news outlets. Declassified government documents have proven Lane and Garrison’s allegations of CIA-involvement in the assassination largely accurate. Nevertheless, the prospect of being subject to the conspiracy theorist smear remains a potent weapon for intimidating authors, journalists, and scholars from interrogating complex events, policies, and other potentially controversial subject matter. As the title of Newsweek’s feature story indicates, a primary element of contemporary propaganda campaigns using the conspiracy theory/ist label is to suggest that citizens’ distrust of government imperatives and activities tends toward violent action. The “conspiracy theorist” term is intentionally conflated with “conspiracist,” thus linking the two in the mass mind. Images of Lee Harvey Oswald, Timothy McVeigh, and Osama bin Laden are subtly invoked when the magic terms are referenced. In reality, it is typically Western governments using their police or military who prove the foremost purveyors of violence and the threat of violence—both domestically and abroad. In his Newsweek article, author and journalist Kurt Eichenwald selectively employs the assertions of the SPLC, Sunstein, and a handful of social scientists to postulate in Orwellian fashion that independent research and analysis of the United Nations’ Agenda 21, the anti-educational thrust of “Common Core,” the dangers of vaccine injury and water fluoridation, and September 11—all important policies and issues worthy of serious study and concern—are a “contagion” to the body politic. In a functioning public, honest academics and journalists would uninhibitedly delve into these and similar problems–GMOs, state-sponsored terrorism, the dangers of non-ionizing radiation– particularly since such phenomena pose grave threats to both popular sovereignty and self determination. Such intellectuals would then provide important findings to foster vigorous public debate. Absent this, segments of the populace still capable of critical thought are inclined to access and probe information that leads them to question bureaucratic edicts and, in some cases, suggest a potentially broader political agenda. In today’s world, however, such research projects carried out by the hoi polloi that are expressly reserved for government or foundation-funded technocrats “’distort the debate that is crucial to democracy,’” says Dartmouth political scientist Brendan Nyhan. With the above in mind, a simple yet instructive exercise in illustrating the psycholinguistic feature of the conspiracy theory propaganda technique is to replace “conspiracy theories/ists” with the phrase, “independent research and analysis,” or “independent researchers.” Let us apply this to some passages from Eichenwald’s recent Newsweek piece. For example, “Psychological research has shown that the only trait that consistently indicates the probability someone will believe in conspiracy theories independent research and analysis is if that person believes in other conspiracy theories independent research and analysis,” Eichenwald sagely concludes. In fact, substituting the phrases accordingly throughout the article significantly neutralizes its overall propagandistic effect. Researchers agree; independent research and analysis are espoused by people at every level of society seeking ways of calming the chaos of life, sometimes by simply reinforcing convictions. While the growth in the number of news outlets has helped spread independent research and analysis, it doesn’t compare to the impact of social media and the Internet, experts say. While some may dismiss independent researchers as ignorant or unstable, research has shown that to be false. “The idea that only dumb people believe this stuff is wrong,’’ says Dartmouth’s Nyhan. People who more strongly believed in independent research and analysis were significantly less likely to use sunscreen or have an annual medical checkup. According to a just-released report from the Southern Poverty Law Center, the independent research and analysis flowed in April at a hearing before Alabama’s Senate Education Committee about legislation to allow school districts to reject Common Core. It’s true. Since September 11, 2001 the internet has increasingly allowed for everyday people to retrieve, study, and share information on important events and phenomena as never before. 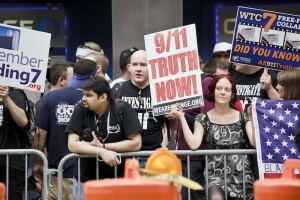 And as a recent study published in the prominent journal Frontiers of Psychology suggests, tendering “alternative conspiracy theories” to the government-endorsed explanations of September 11, 2001 is a sign of “individuation,” or psychological well being and contentment. Such a condition is a clear danger to those who wish to wield uncontested political authority. Indeed, the capacity to freely disseminate and discuss knowledge of government malfeasance is the foremost counterbalance to tyranny. Since this ability cannot be readily confiscated or suppressed, it must be ridiculed, marginalized, even diagnosed as a psychiatric condition. The recent abandonment of network neutrality may eventually further subdue the nuisance of independent research, thought, and analysis. Until then, the corporate media’s attempts to bamboozle and terrify the American public with the well-worn conspiracy theory meme will be a prevalent feature of what passes for news and commentary today. Good article. It’s also important to recognize that one of the tactics the apologists use is to highlight (or create) fake claims of conspiracy to discredit. Disinformation is an important tool of ridicule. For example, Sunstein has written, paranthetically, about the claim a plane didn’t hit the Pentagon, shrewdly noting that some of us recognize this was a clever hoax, but he ignores how warnings the attacks were imminent were deliberately suppressed. With the coup against JFK, there’s many false claims sprinkled among the real evidence. This makes it more difficult to notice that obvious — JFK’s removal from office was due to significant policy disputes with the military industrial complex. The binary approach that there’s the official story vs. the counter claim is insufficient. There’s a variety of fall back positions and discrediting disinformation to create confusion. Conspiracies are real, but literacy is time consuming, these YouTube videos explain…. “All Wars Are Bankers Wars”…. centuries of staged warfare…. “9/11 Conspiracy Solved, Names, Connections, Details”….beyond coincidence…. “JFK to 9/11, Everything is a Rich Man’s Trick”…. three hours, but worth it…. I hope that you will include a story on the massacre of Pan Am Flight #103 Lockerbie, Scotland which took my brother’s and 269 others lives on December 21 1988. Despite my meetings with former Sec. State Albright, former Nat. Sec. Adviser Sandy Berger, and former USA Ambassador to the UN Bill Richardson and countless other functionaries of The Government, I do not trust that only War Criminal “Colonel” Gadaffi and only two indicted suspects Lamen Kalifah Fimah and Abdel Bassett Ali Megrahi were to blame-we know from court records that the State Dept. told personnel not to take that flight since there was an high level threat on that flight, and this is because it was the 8th day of Hannakah and 4 days before Christmas in the West. I would also like a story about to know if former Gov. of NJ Whitman had CIA reportage when she was EPA Director and told people to go back to work despite there being cancer causing elements in the air at Ground Zero. “conspiracy theory” is a term used to shut down criticism of world government. Shortly before his death, Clay Shaw–the New Orleans businessman being investigated by Jim Garrison–was revealed to be working for the CIA.